Every so often, parents are very scared of their children going into water to swim. There are immense benefits for children learning to swim and indeed children with the autistic spectrum are not left out. I have highlighted some of the benefits to swimming as a sport for a child with the autistic spectrum. As parents, we all know that children are obviously drawn to water and we need to know that drowning is the foremost cause of accidental death for kids and even adults on the autism spectrum. Even though, water safety is important for every child, children on the autism spectrum are at higher risk because they may seek isolation by fleeing to unfamiliar territories. Water touching the body has a calming effect and reduces any overly loud noises that a child in the autistic spectrum will run away from. Swimming has been shown to help with improved speech and cognitive function. Water is a calming environment that emphasizes gentle and repetitive motion. 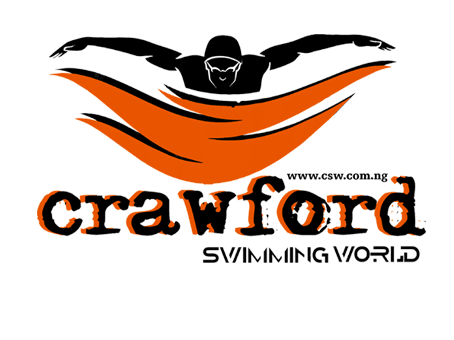 Our Crawford “Isabella” Swimming Pool facility is proud to offer a program that can be tailored to individual needs and abilities of children with special needs. We believe that with enough consistency, patience, and compassion, every student can learn these valuable skills and build self-confidence during Swimming Lessons in Lagos. 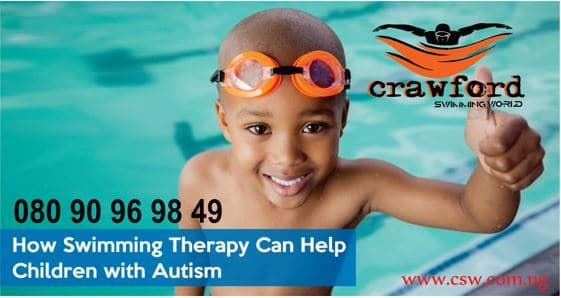 We use an innovative swim mask for children with ASD; it helps them breathe with their mouth and nose even when submerged in water, which helps to calm the mind.